Would you like to know the secrets to one of Australia’s most successful personal training companies? While making lots of this…. Over the past 12 months I have grown my team from 3 to 15. We have gone from doing 60 sessions a week, to over 200 sessions each and every single week. Each is of course 1 hour long and with the most fabulous clients you can think of. You know the ones?! Those clients that make you feel more like you’re training a good friend than actually working. I have created an inspiring atmosphere for my trainers to be apart of. My studio is equipped with the best of the best equipment from all over the world. I created and implemented systems and strategies that enable my business to drive profit without me. These systems guide new members of staff to produce the level of results that through the years, I have built my reputation upon. As a result, my team is responsible for multiple figure and fitness championships. I know that in this ever-increasing fast paced world, time is of the essence. And I know you don’t want to make the same mistakes I did when I was getting into the industry. It took me 8 years of complete focus to build the business that I have today. What if I could offer you the fast track to training, nutrition and business success? I want to make you a force to be reckoned with. Give you the tools to get you the results you have always wanted (for yourself) and the know-how to do it for others, AND teach you how to be handsomely paid to do it. If this is something that resonates with you, stay on the page. I definitely have something for YOU! I had complete focus on one single outcome. Building an education and results-focused personal training company that delivers an outstanding service to its clients (whist being highly profitable). To achieve this outcome, I traded in my youth (and a good time) for knowledge and experience and education. When others my age were hanging out or partying, I was in a seminar, pen and notepad ready and with my hand by my side waiting to answer the next question from the teacher. A teacher I had paid a few thousand dollars to learn from. Yet unfortunately, a lot of the time I paid the wrong teacher. In the first 3 days of the Super Seminar, my team and I cover the principles for optimizing training, nutrition and everything related to achieving ideal body composition, as it relates to personal training. If you haven’t previously done a course with us, this is the place to start. But don’t just take our word for it; watch the clip to hear what others say about the course. Session 7: “The Maximus Method” for getting endless clients working at a big box gym. As an Intern of Enterprise Fitness, you will receive your very own seminar manual to take home. This will include all slides, handouts and extended resources, as well as 7 different and super effective training systems to get your clients results. Past Interns have commented that these systems alone made the investment worth it. 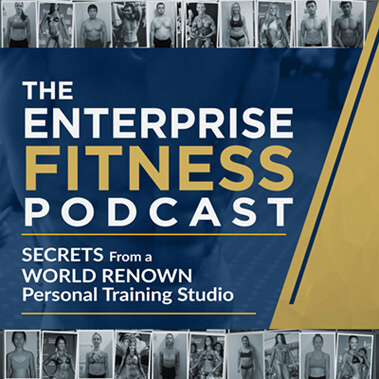 In the final 2 days of the Enterprise Fitness Super Seminar we take a strong focus on contest preparation as it relates to the female competitor. Over these two days you will be exposed to 6 completely different training systems to train physique, fitness and bikini competitors. The 6 systems provided surmount to 8 to 12 months of structured programming for your own clients. These training systems, I have used with champion clients such as Janet Kane, the 4 time INBA Ms Australia. Tried and tested, time and time again in the preparation of many competitors, these exact systems are what my team and myself use to get the high standard of results your used to seeing on stage. To cut a long story short, over the years I have developed systems and methodologies for training the female competitor to the point where I have it today; A Well-Oiled Champion Machine. Recently, personal client and four time INBA Ms Australia, Janet Kane commented on the fact that compared to when she started training, today we are producing winners in a fraction of the time. Janet and I have been working together since 2007 and it’s taken us many years of trial and error to get her physique to where it is today. 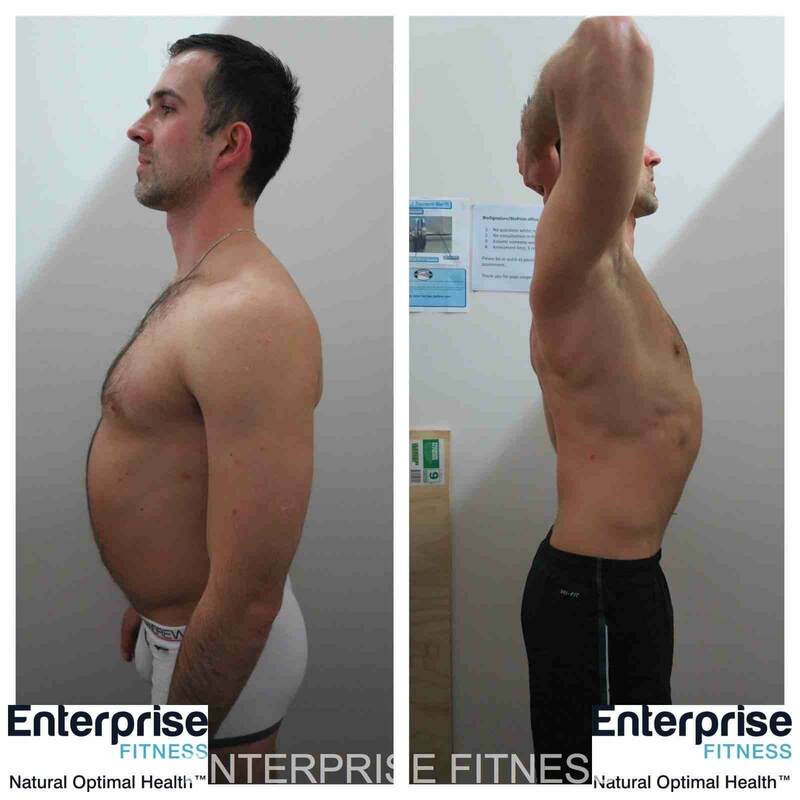 In essence, competitors who begin training with Enterprise Fitness today have their progress fast tracked, as I have figured out many of the hurdles and speed bumps along the way, and solved them before they even become an issue. Would you like to learn our methods? 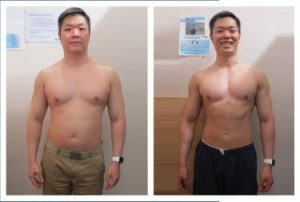 I want to save you many years of frustration, as well as money on gimmicks and fads and not to mention the emotional pain of yo-yo dieting in a hope to get the body you want. Why waste another second of your precious time following ridiculous meals plans and using methodologies that might work? As you can see from our results, what we do works. Period. If you’re a trainer who works with competitors, you owe it to them to get yourself to our Super Seminar. The astounding wealth of training knowledge and expertees aside – Mark nailed the missing link so often forgotten by coaches and that is the training of the self – an appreciation of the mindset required to follow through on our goals and the need to focus upon an intrinsic sense of self rather than an extrinsic reward, self imposed negativity and stress or threat of failure. It’s not just as simple as “do what needs to be done,” or “champions never back down” or some other trivial, noncommital catchphrase you hear from the plethora of other substandard coaches but he taught me something much more important, which is to focus on who you want to BE, not what you want to DO. I was amazed, once I adopted this mindset – how organic, progressive and simple my approach to my clients and my own preparation could be. Forcing compliance to a program upon someone who, despite their best interests, finds it difficult to adhere to because of internal conflict is the worst way to help them in the long term. Understanding what intrinsically drives someone as an individual is paramount to helping that individual to change for the better over time. Since the workshop I’ve changed my approach to coaching and made it more pliable and customised to the individual and how they need to be coached. Rather than simply focusing on the compliance to my programs I’ve focused on the person – how they feel about themselves, how their choices are reflective of a more complex emotional web that goes beyond just wanting to “look good.” Clients that have had no success with others and were struggling with binge/purge cycles, poor self belief and an obsession with “all or nothing” are now achieving outstanding results – but the change in their minds has been much more rewarding for me to see than what has inevitably changed with their bodies as a result! I have to add that since the workshop I’ve also applied this concept to my own progress to the stage and it has made my stage preparation fun. I don’t feel the stress of subjecting myself to a regime, instead I relish the opportunity to train progressively and continue to eat better because I love doing it, it makes me feel good and it resonates with me on a much deeper level than a superficial physique goal – not because I feel I have to. My previous preparation ended in me being “over” the whole experience and counting down the days until it will end. Now I’m counting the days until it starts! This is the fundamental difference between what I have learned from Mark and what I see in other coaches and subsequently, I could not recommend his workshop enough. Even if you are not an aspiring contest prep coach and are merely looking to compete in future – it will be the best thing you ever did for yourself and for anyone lucky enough to be coached or mentored by you thereafter. Each participant of the Enterprise Fitness 5-Day Super Seminar will also receive an updated copy of our comp prep manual. We have never given this out to non-clients before, so the first 12 people to sign up to this course will be the first non-clients to read it! $2397 paid in full before September 30 PLUS Bonuses! See below! Commit your first payment before September 30th and we will include all the action takers bonuses! Sign up today and receive a bonus, closed-door session with Mark. This is exclusively to those who sign up before September 30th for all 5 days. Take action now to get rewarded and have all of your questions answered. (This exclusive, unscripted session will be held on the 18th of November). 1 Places Left For November! As the owner of Enterprise Fitness, I get to call the shots, so we will have the facility setup for the 5 days for attendees.